Valley Forge Baptist is located on the south side of 422. If you get off at the PA-29 exit and then turn west on Black Rock Rd, the church will be on the right side of the road on the corner of S. Trappe and Black Rock Rd. We want your visit to Valley Forge Baptist to be uplifting, inspirational, and reflective. If you have any questions or if there is anything we can do for you while you are at Valley Forge Baptist, please do not hesitate to let us know. Love VFBT! This is the place where I met my husband, where our children were raised– dedicated, educated, made decisions to accept Christ, be baptized and learned to serve, and it is where our family has worshipped and served the Lord for 30 years. The senior pastor is the real deal! Valley Forge Baptist is our HOME!!!! Our family have been members for over 20 years and can not put into words how much being part of this church and sitting under the preaching of God’s Word has helped us to grow on our spiritual walk. It is at this church that we are challenged every time the Word of God is preached to see how God wants us to live and become more like Him. The pastoral staff TRULY cares and loves us and you can tell they want to do all they can to make us more like Christ! The love of Jesus shows through the people here and we are SO grateful to be part of this church family. My husband and I love Valley Forge Baptist. From the moment we entered the church doors, we were warmly greeted by friendly people. Pastor Wendal is not only a student of the Word of God but one of the most gracious and merciful people we have ever met. I have no idea where “Jay” is coming from in his depiction of Pastor Wendal has ruthless. That description would never enter the minds of anyone who has met Pastor Wendal or knows him on a personal level. Words cannot adequately express our love of Pastor Wendal and Valley Forge Baptist. This is a great place to worship the Lord, be encouraged and to raise your family along with a godly group of loving believers! Come and visit and be blessed! My husband and I have been members of Valley Forge Baptist for 17 years. Valley Forge Baptist is truly “the Caring Church” … both my husband and I have had surgeries, deaths in our family and other life events. Each time we have experienced some trial of this type, we have received phone calls, cards, and visits as well as church members dropping off meals to us. 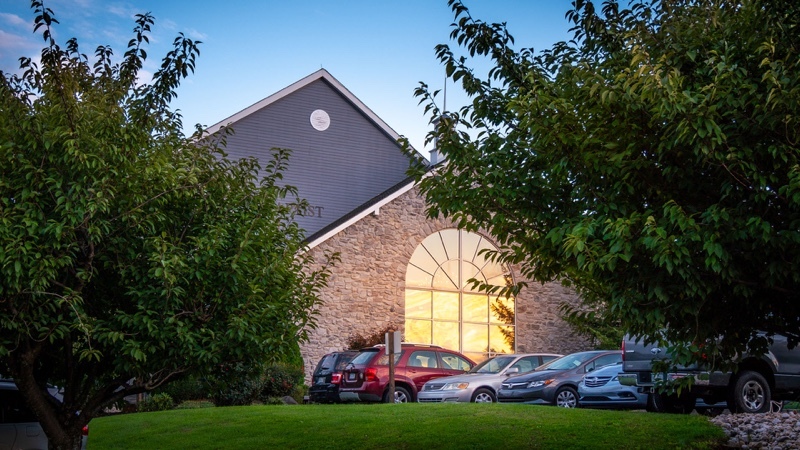 We highly recommend Valley Forge Baptist as a place to worship the Lord, to be blessed by the Word of God as presented by Pastor Scott Wendal and to feel right at home and warmly welcomed in an Adult Fellowship Group. Our prayer is that you would visit Valley Forge Baptist and see for yourself! I have been attending Valley Forge Baptist for over a year now and the people here are some of the most friendly people you will ever meet. Pastor Scott is one of the most relatable preachers you will ever find and will shed love, mercy, and grace upon you and your family. The kids and youth ministries here are awesome! My daughter cannot wait to come to church every week! For an uplifting worship experience and for an opportunity to have your heart fed from the word of God, you must visit Valley Forge Baptist! Lead Pastor plays this nice guy routine but behind the scenes is pretty ruthless. Lots of decent churches in the area, this is NOT one of them. Attending Valley Forge Baptist for 24 years has been an immeasurable blessing to my family. Some of the sweetest people in God’s family worship here. Both leadership and laity exhibit Christlikeness. A common saying often heard around church is, “A shared blessing is a double blessing and a shared sorrow is half a sorrow.” Though no church is perfect, VFBT sincerely seeks to live and love as Jesus instructs us. Literally laughed at Pastor Wendal being called ruthless. He doesn’t play a nice guy – he is a nice guy. Been sitting under his ministry for 30 years, truly a wonderful, friendly and caring church.